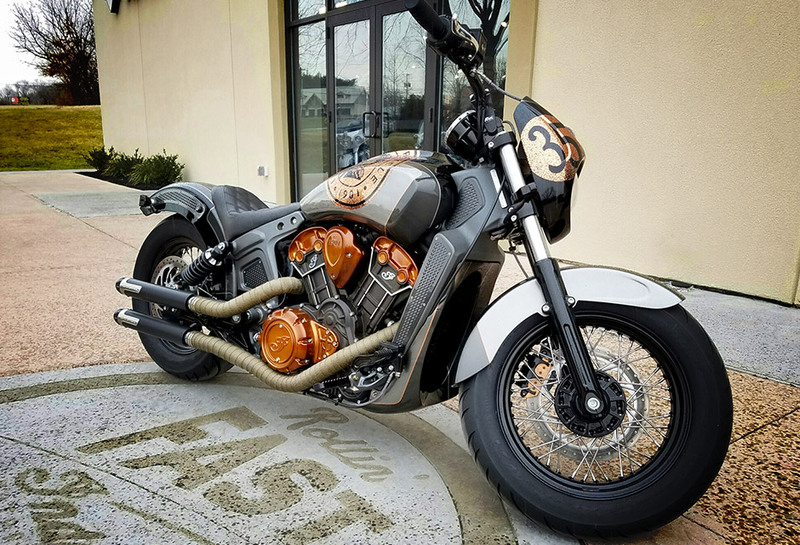 With a design geared toward a brawler café racer combined with naked street bike, New Jersey-based Rollin’ Fast Cycle Sport’s entry is an all-business Scout built to rip. 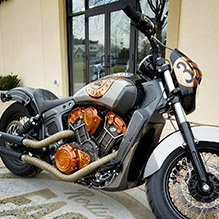 The wrapped pipes, MX-styled bars, a stunning two-tone paint with gold flake and matching factory covers guarantee this bike will stand out whether cruisin’ the Jersey Shore or bombin’ through Brick City. 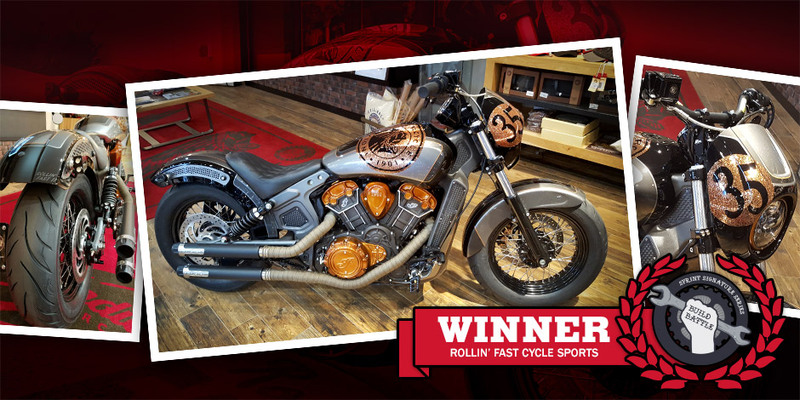 On behalf of the entire Kuryakyn Team, congrats to the Rollin’ Fast crew. What was the inspiration behind your Sprint Scout build design? 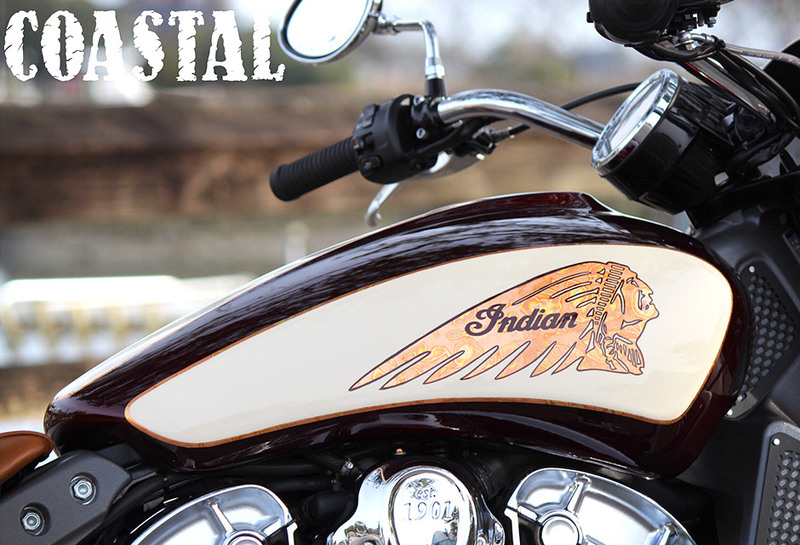 We wanted to maintain a nostalgic look that speaks to the true Indian Motorcycle heritage. What is the one design feature you're team is most proud of? 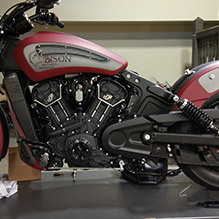 The entire Bison Thunder Motorcycle team provided input into the design of the Signature Series themed bike and their best ideas were incorporated into the final design. We took pride working together to develop a unique vision, and were able to deliver on that vision. 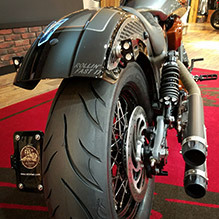 What do you like about the Kuryakyn Signature Series Sprint parts? 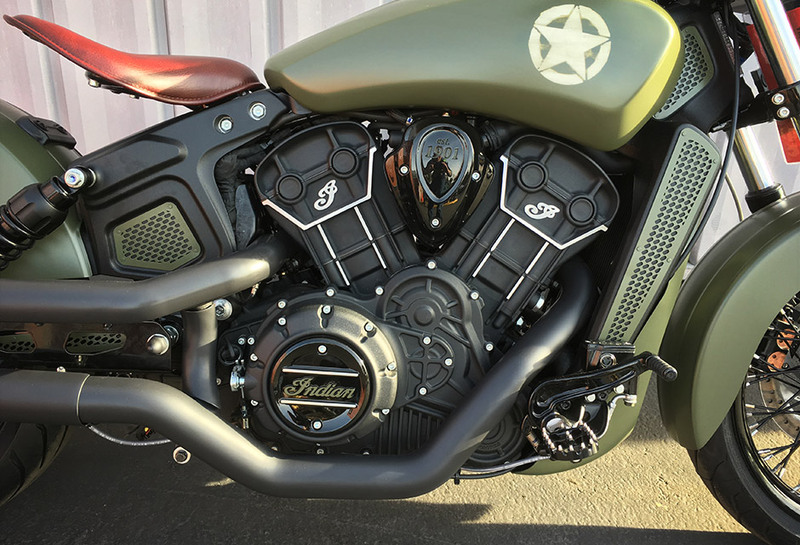 The Kuryakyn Sprint Signature Series parts were easy to install, fit as described, and are well presented on the Scout platform. 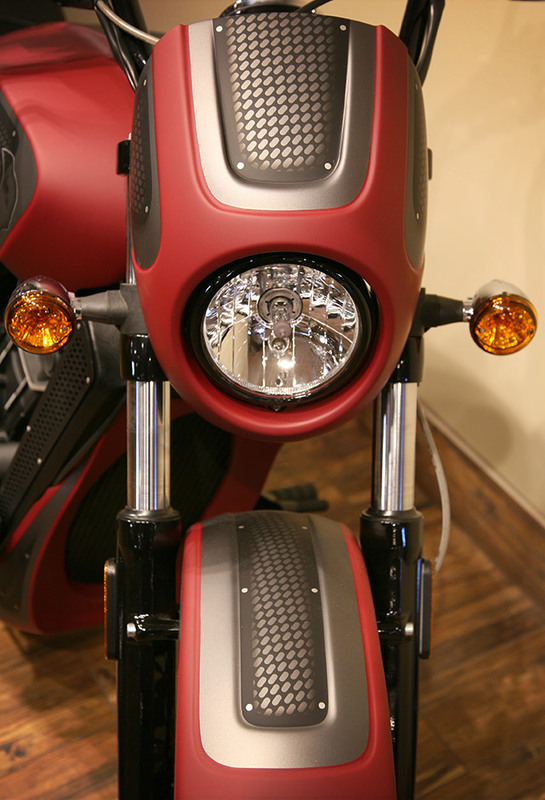 Tell us about your dealership - why should riders visit your store? 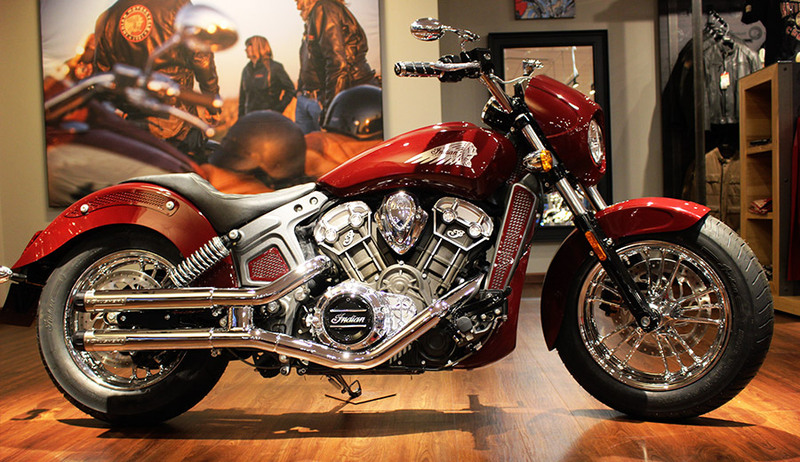 BTM is a destination Indian & Victory motorcycle dealership in St. Michael, MN. 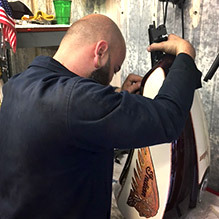 From our facility, to our services, to our products, we are unique and second to none in our region. 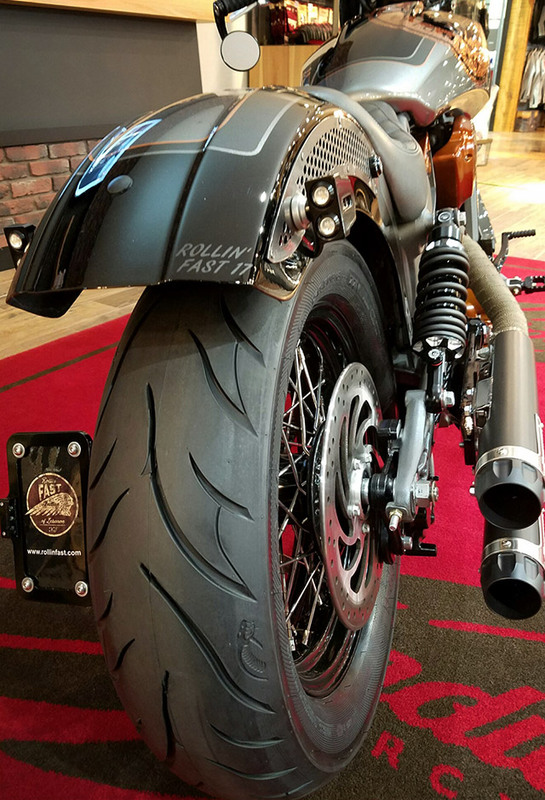 We offer a relaxed and fun experience to our customers while also offering them the largest selection of bikes, accessories, apparel, and services in the region. 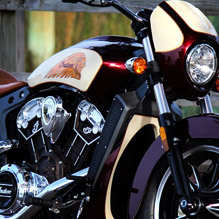 Two-tone retro paint giving our Scout the Indian of old paint treatment. 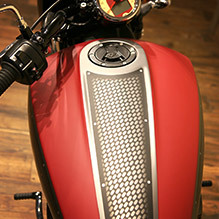 The Kuryakyn Cafe Fairing with our two-tone Paint. The ease of install; everything fits like it came from the OEM. 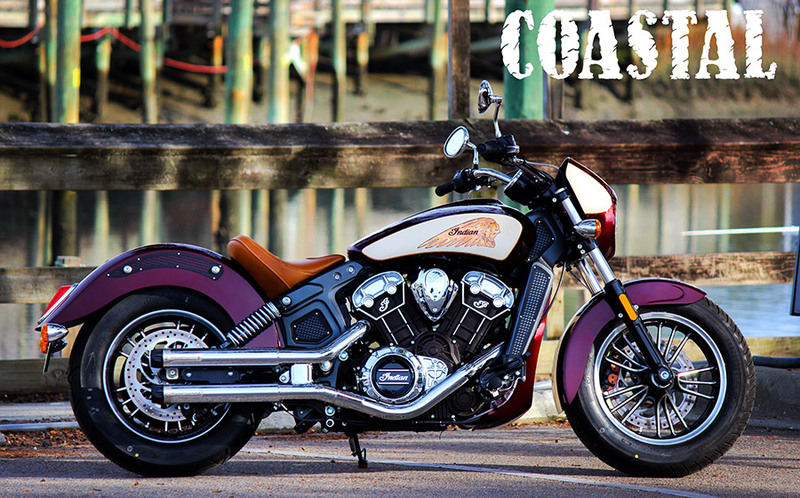 Coastal Indian located in Murrells Inlet (about 10 miles South Of Myrtle Beach, SC) has a long 13-year history of custom bike builds landing us on the pages of the top biker magazines across the world. 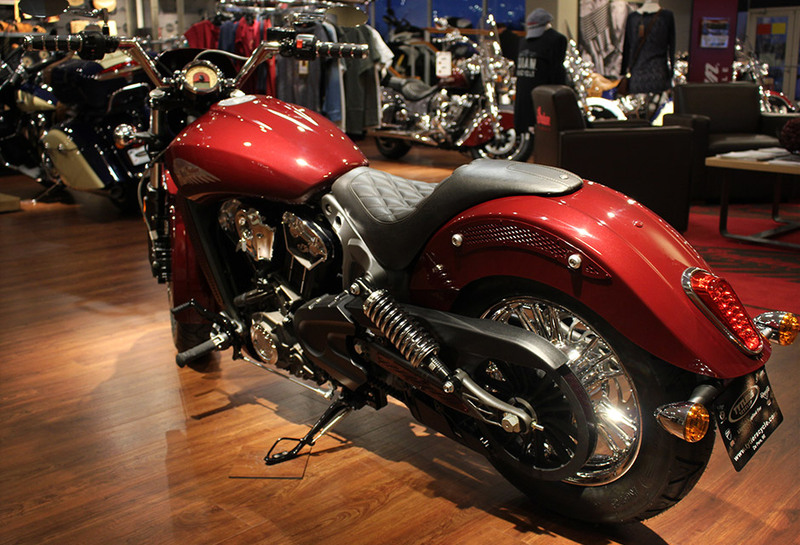 Stop in and check our one of several custom Indians on our showroom floor. 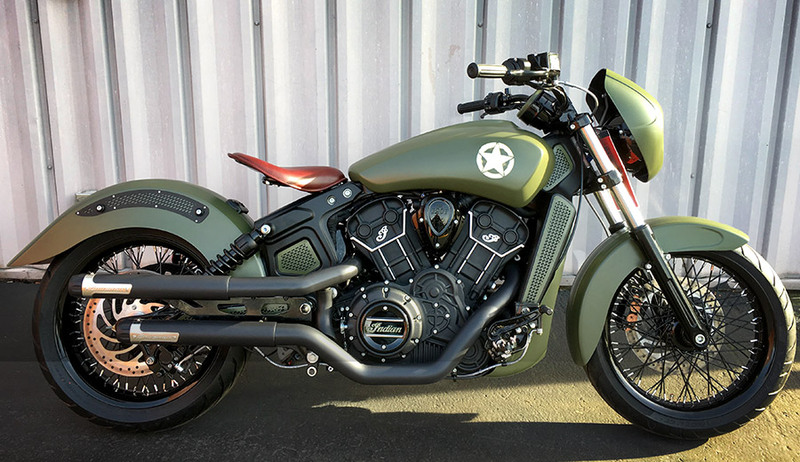 Bring back the old military look of the 30's and 40's but make the bike modern. 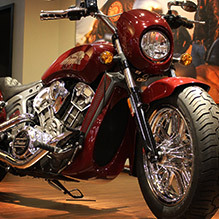 We wanted this to be a rider's bike. 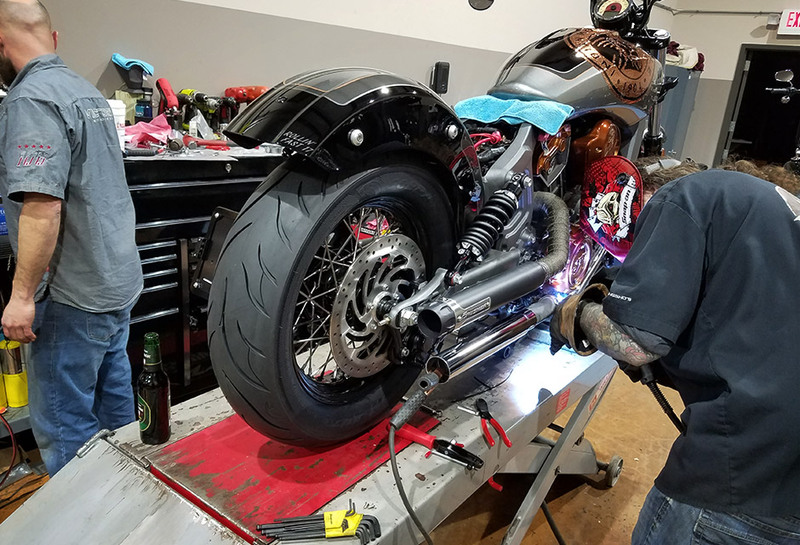 We are most proud of the rear fender and sub frame. 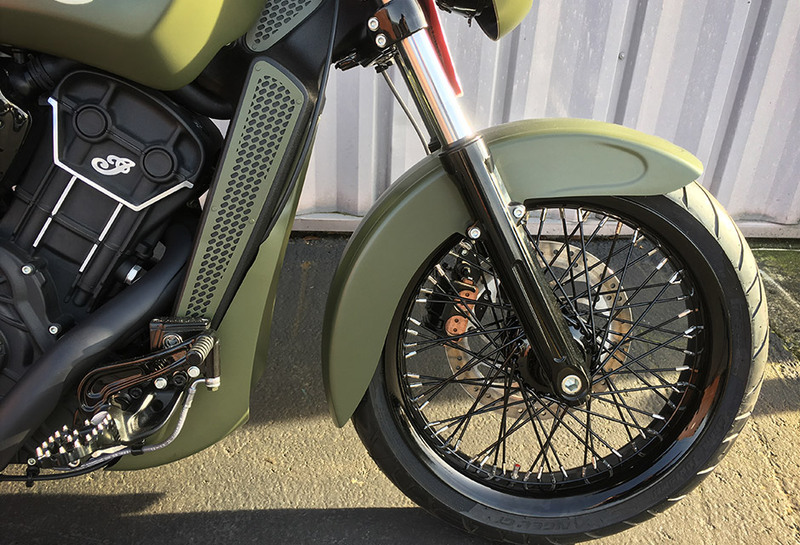 We raised the entire motorcycles suspension by 2 inches, but lowered the rear frame and fender 3 inches to give it that low custom old school look but the bike is actually taller. 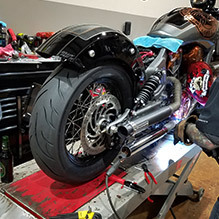 The Sprint Signature Series parts are really easy to install. 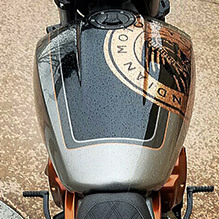 They need zero modifications and really have a nice look. They are also really affordable for the average Joe. 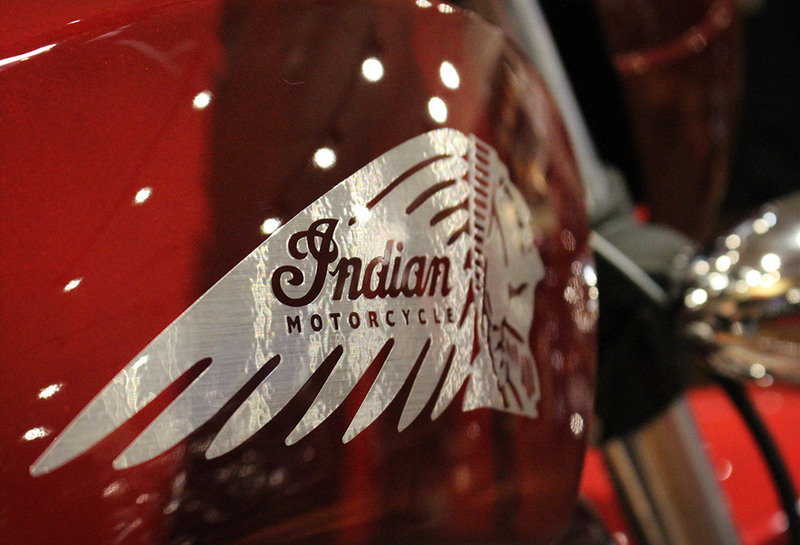 We feel like we are the Northwest's Flagship Indian Motorcycle dealership. 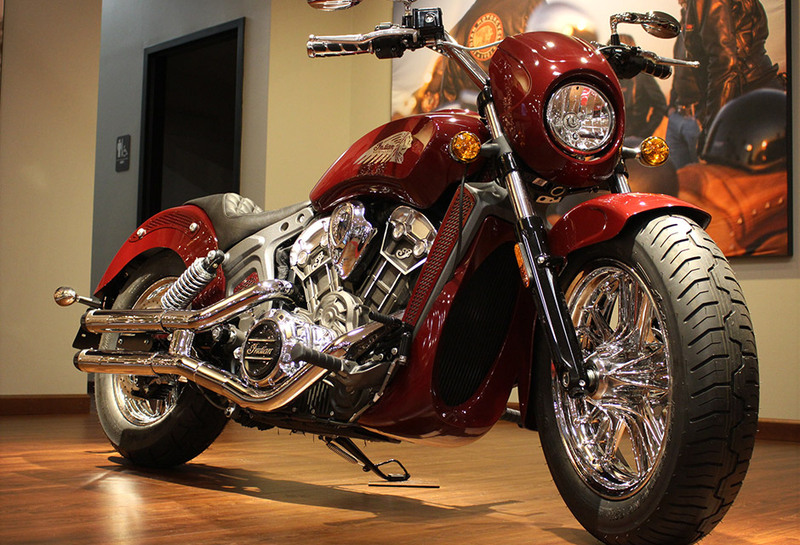 Our staff rides these bikes, builds these bikes and lives this brand. 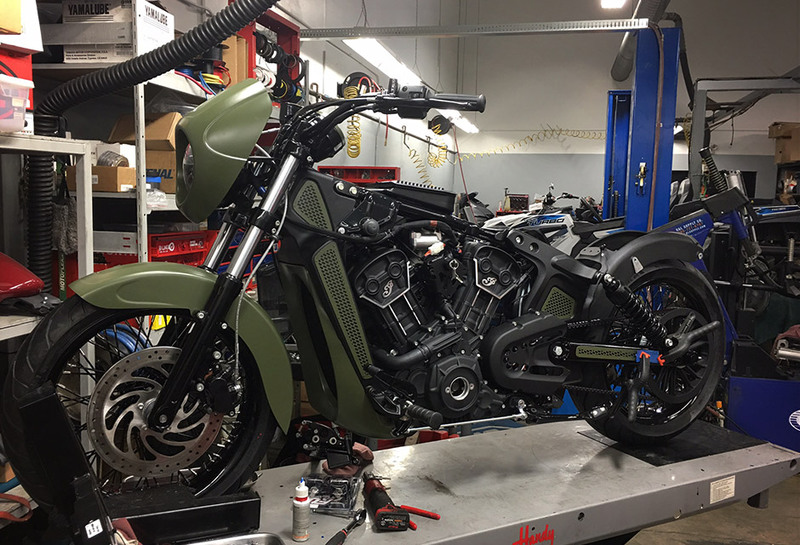 We do several builds a year to show riders what can be done with these bikes. 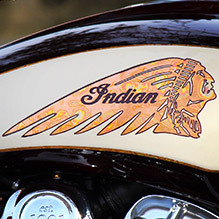 We carry the full selection of Indian Motorcycle parts and accessories as well as other brands like Kuryakyn, Vance and Hines, and Rinehart. 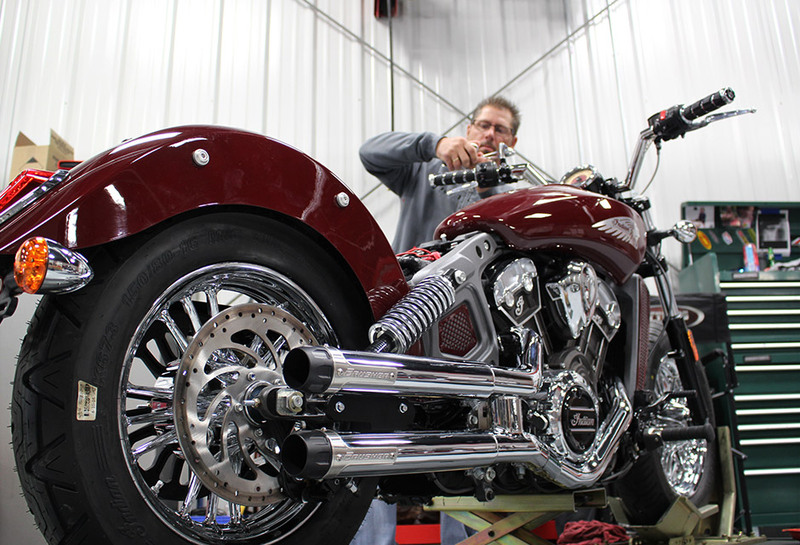 Our service department is top notch with several technicians that have the highest training Indian Motorcycle offers. 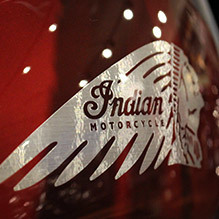 When riders enter, they can rest assured knowing they found the one-stop shop for all of their Indian motorcycle needs with the most knowledgeable staff. 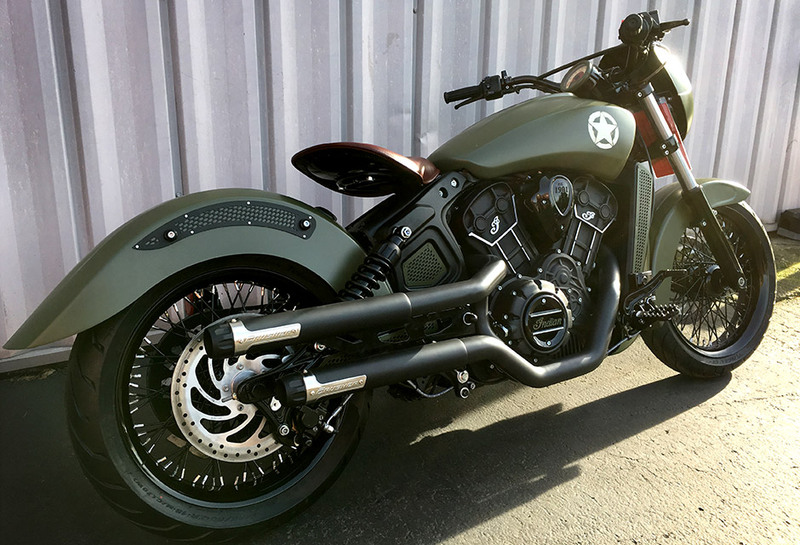 American muscle naked street bike, combining some attributes of café racer and bobber styles. 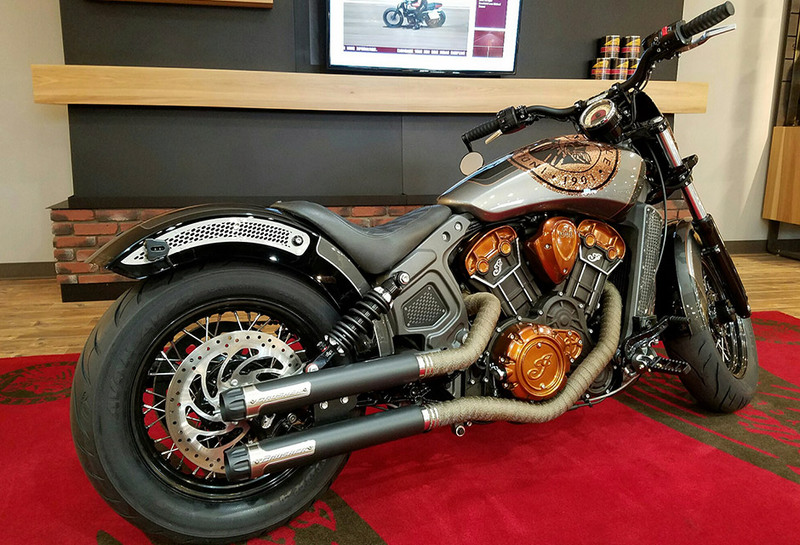 Combination of the raw and refined look in one. 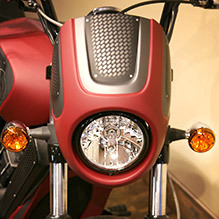 A single feature does not outshine the next, all components are in perfect balance. 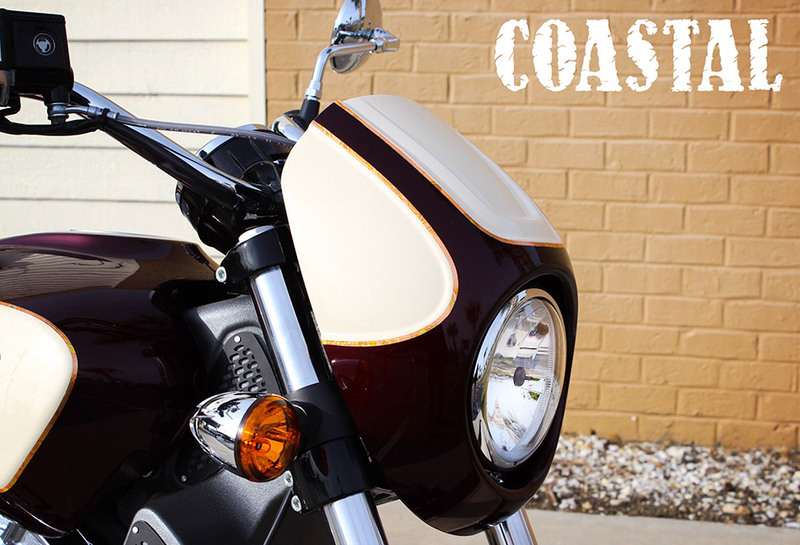 Sport look and lets you change the overall appearance of the Scout and yet still be cost effective. Love for the brands we sell, which equates to an enthusiastic point of view when dealing with a consumer. Customer service, we feel this is key factor to the longevity of our business and our continued success. 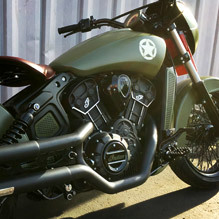 Last but not least, our custom project bikes. 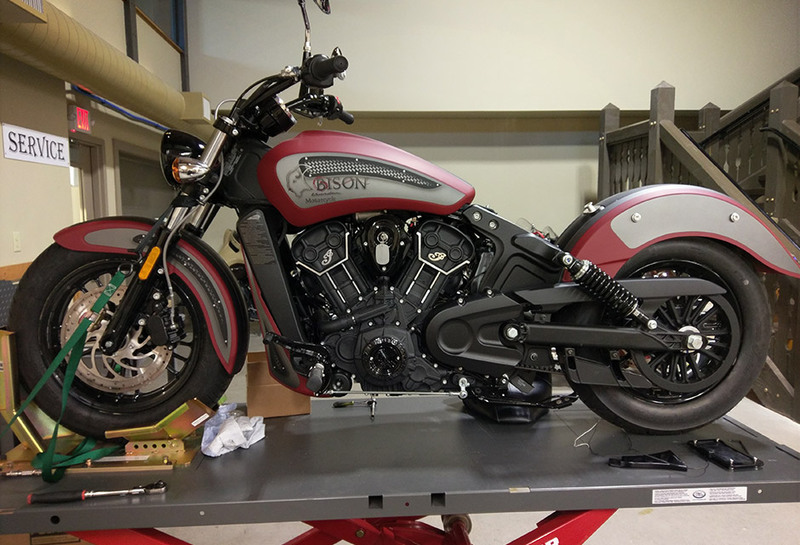 Taking an OEM motorcycle and giving it a personal look, whether it be for our showroom floor or for a customer looking for a truly unique ride to call their own. 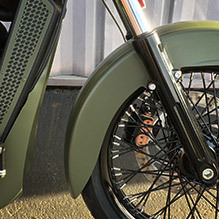 When the original Scout was introduced in 1919, it was reliable, fast and agile. 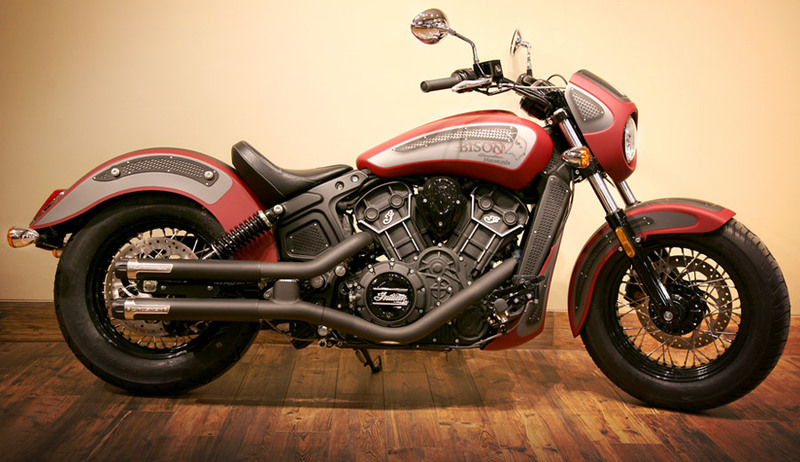 Our focus was building a bike that was equally at home carving up your favorite roads or turning heads at bike night. 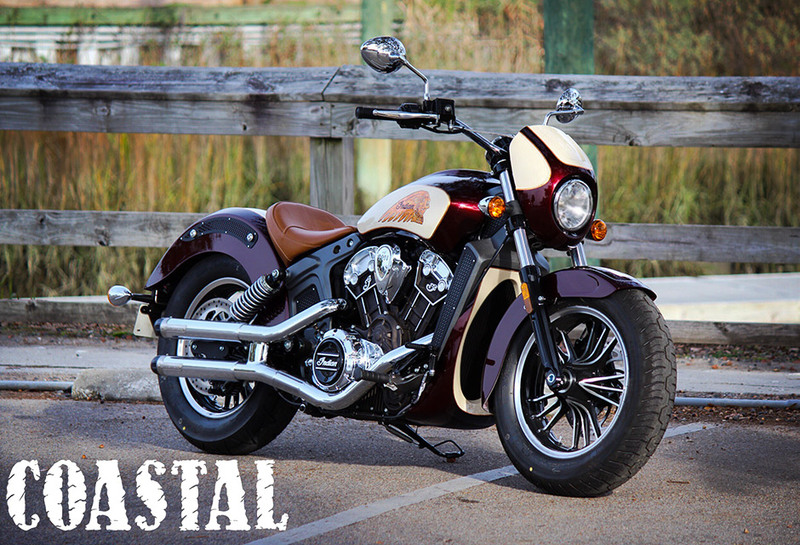 We’re very happy with the visual balance of the bike. 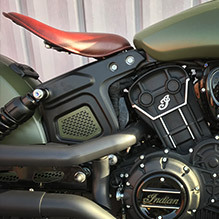 The Sprint accessories do a lot of the heavy lifting in changing the attitude. 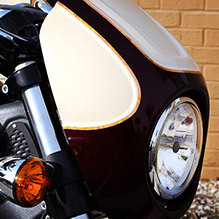 We wanted to build on that with subtle changes that enrich the look without being distracting. Right out of the box these parts are ready to go with no fitment issues at all. 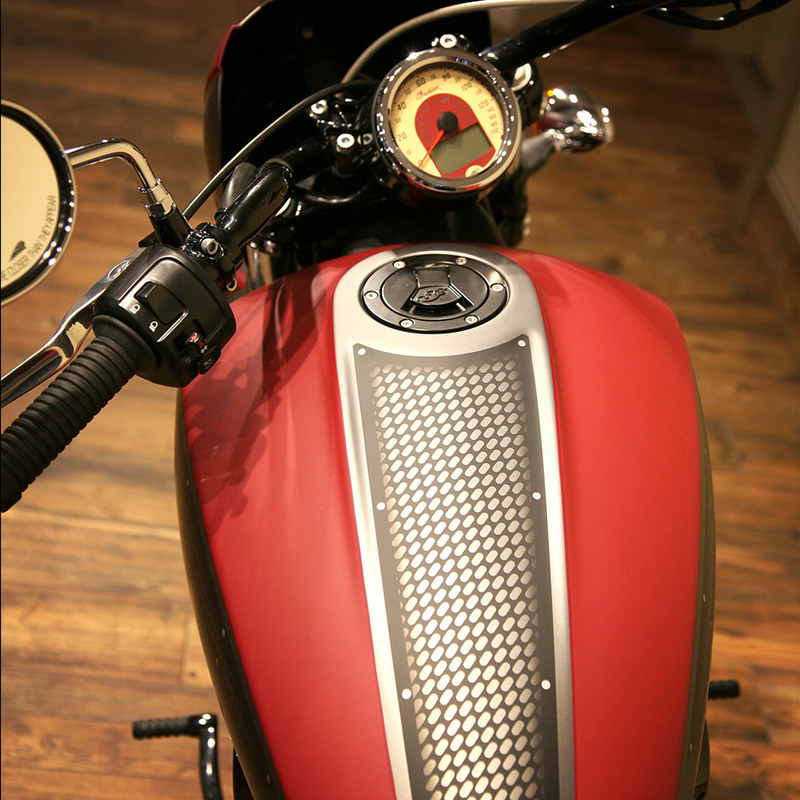 For a little investment you can really change the look of your ride with a truly high quality product from Kuryakyn. 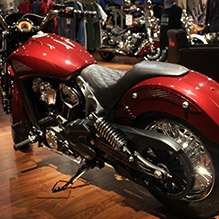 Tytlers Cycle is Northeast Wisconsin’s home for Indian Motorcycle, Ducati, BMW and Victory motorcycles. 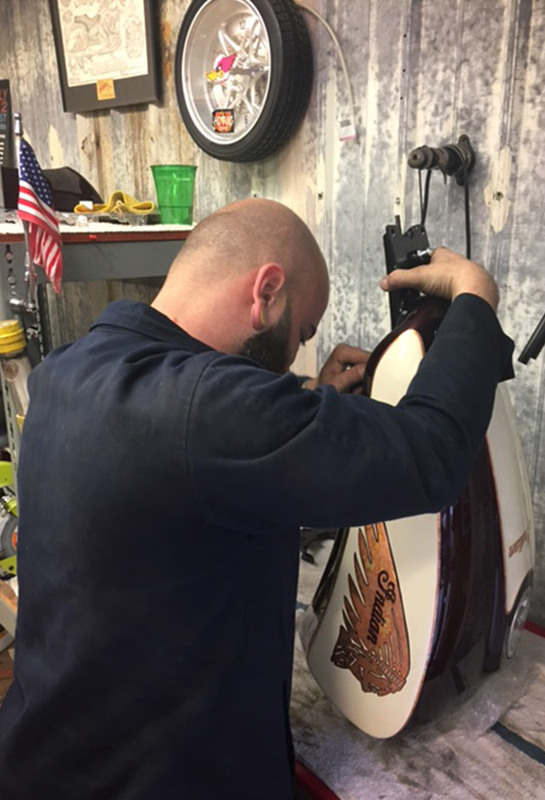 We have certified technicians in all the brands we carry. 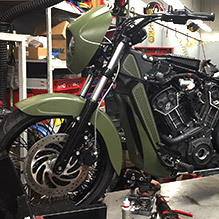 If you are looking to take the performance of your ride to the next level, we are a DynoJet certified tuning center with an onsite dyno room. 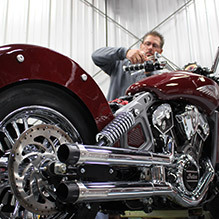 We work every day to build a better motorcycle shop for our clients. 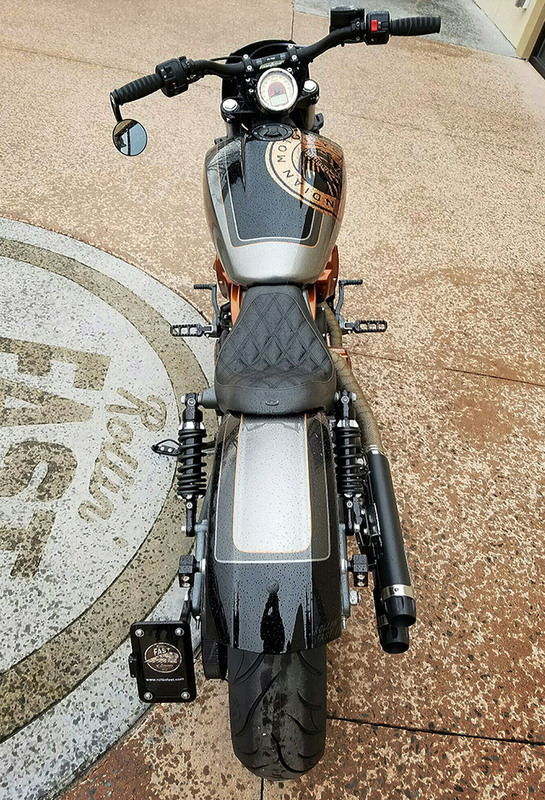 Whether you are new to riding or a seasoned rider, we are here to provide the gear, accessories, service and most importantly best client experience we can for our clients.